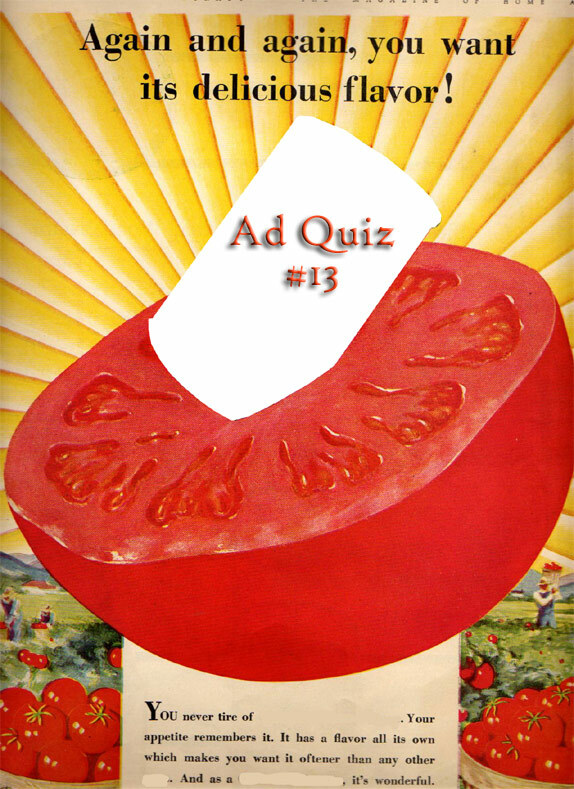 Urban Archeologist: Ad Quiz #13 No Glue? Try Tomato Paste! The title of this ad quiz is not a clue. I just can't get over how in your face this tomato is. My wife has a calendar over her desk that is 12 months of EXTREME CLOSE UP shots of prepared meals. Many food commercials are guilty of the same miss-guided visual message: Food was meant to to be chewed up and swallowed by the eyes. Some ad genius thought this was a good idea and maybe the above ad worked, or maybe a lot of ads were eaten in 1929. Either way this ad looks like the paper has to hold some of the tomato's flavor, or at least a bucket of red paint. Can you guess the product? Nope, keep guessing....I am looking for the brand as well.